While you should naturally bear your reader in mind when writing your copy, a great sounding website will mean very little if people cannot find it in the first place. This is where website copywriting differs from copywriting for print. A website copywriter doesn’t just have to write words that are catchy, creative and compelling, they have to be clever about it too. SEO copywriting is a valuable process for any new website. Unless your copy is well optimised with the appropriate keywords in the relevant places, Google will not know what your site is about…and if Google doesn’t know what you do, then they won’t know to suggest your website to potential customers who are looking for your goods or service. Already got a website? Great! I can then PROVE the effectiveness of your new website copy. If you already have a website and I am rewriting your existing copy, I can prove that it will be more effective than what you will be leaving behind. 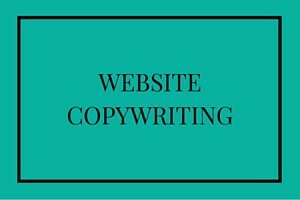 You often can’t demonstrate the effectiveness of something creative, but with website copywriting, you can. I track where you are already ranking for the keywords and terms you want to appear for before I provide you with your new website copy. This way, once your new web content is uploaded to your website, I can track your keywords and terms again and produce a clear comparison. I never guarantee that I can get you to the number one spot on Google – no one can, as there are factors beyond anyone’s control, but I CAN guarantee that you will see a dramatic improvement and often, this does mean that you will be ranking right at the top of the search engine results. If you are looking for a creative AND effective website copywriter, please get in touch.